Yesterday morning, agent Jane Powers held a broker’s open at a Queen Anne home and several of our agents attended. 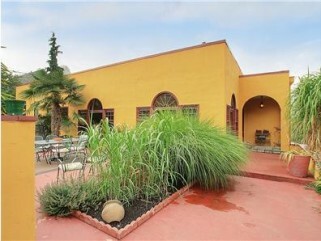 The exotic, Mediterranean home is easily one of the most unique homes to grace the West Slope. It is a bright, beautiful home located on a corner lot and features several terraces and a Southwest garden, perfect for entertaining or relaxing. Upon entering, the unique feel of the home does not go unnoticed! Perhaps the finest feature of the home is the large scale, gourmet chef’s kitchen ideal for those who love to cook. Attached to the kitchen is a sizable family room with access to a territorial view balcony. The 3,490 sf home has four bedrooms, two bathrooms. This is a truly colorful home and it's Queen Anne location is an ideal retreat located close to urban destinations. Please follow the link to find more details and information on this Queen Anne Home.